Michigan travels to Michigan State this weekend in a game with two program headed in opposite directions. Michigan has blossomed in Jim Harbargh’s second year as coach. The defense has excelled as the Wolverines have dominated every game except Colorado and Wisconsin. In contrast, Michigan State started the year 12th in the AP Poll but have lost their last 5 games. It’s not a surprise the offense has declined with the departure of key talent from last year. But the drop off on defense led by Malik McDowell has been a shock. 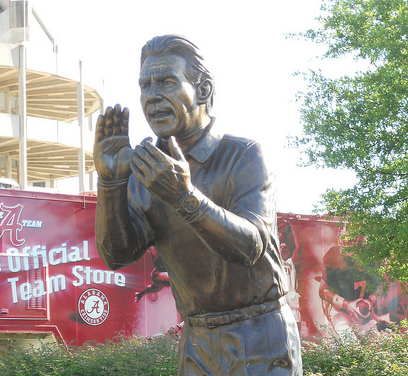 So what will happen on Saturday in East Lansing? As of Tuesday afternoon, the markets favor Michigan by 23 point. This point spread is too large. Let me explain. Some type of analytics give a spread even larger than 23. For example, consider my rankings algorithm that takes margin of victory and adjusts for strength of schedule. Using only games from this season, this method makes Michigan 32 points better than Michigan State. With home field for the Spartans, this gives a predicted point spread of 29 points. However, this prediction considers only 7 or 8 games for each team, and it’s dangerous to draw conclusions based on small sample size. In addition, randomness can affect the margin of victory through plays like turnovers, as Michigan State has a -4 turnover margin this season. To get a better assessment of the right point spread for this game, let’s consult other sources of data. At The Power Rank, I also rank teams based on yards per play, a powerful efficiency metric that captures the ability of the offense to move the ball and the defense to prevent this movement. The same ranking algorithm takes data from each game and adjusts for strength of schedule. By adjusted yards per play, Michigan State ranks 38th in the nation. While not stellar, the Spartans look much better by yards per play than adjusted margin of victory (90th). To explain the discrepancy between yards per play and margin of victory, we consult Bill Connelly’s data on finishing drives. By points per trip inside the 40, Michigan State ranks 94th and 89th on offense and defense respectively. The Spartans haven’t been clutch this season. However, this could change any week, as an offense ranked 34th in adjusted yards per play will almost certainly finish drives better than they have so far this season. And the defense overall should be better than their rank of 62nd by adjusted yards per play. Michigan is 5th in team rankings based on adjusted yards per play, and this suggests they should be favored by about 10 points. The betting markets provide another way to evaluate teams. This year, I started applying my ranking algorithm to closing point spreads in the markets to rank teams. Just like with the team rankings, each team gets a rating that gives an expected margin of victory against an average FBS team on a neutral site. In these market rankings, I weight recent games much more than games earlier this season. For example, the spreads in week 1 get only 3% of the weight of this past week’s games. This bias should favor Michigan, as they have improved from preseason expectations. In addition, they got an extra bump last week as a 40 point favorite against an Illinois team starting their 3rd quarterback. The weight towards more recent games should also hurt Michigan State, as the markets have adjusted to their decline. The Spartans would have been more than a 3 point favorite at Maryland last week if the game had been earlier this season. However, the market rankings predict a 9.5 point win for Michigan at Michigan State. Members of The Power Rank have access to ensemble predictions that combine the factors discussed here with other calculations. These predictions have gone 53.7% (217-187 with 8 pushes) against the closing spread this year. My member prediction has Michigan by 10.7 points over Michigan State. That seems low to me based on the play I’ve seen from both teams this year, and I could see Michigan covering more than 20 points. However, if you think Michigan will one hundred percent dominate this game, don’t underestimate the randomness of college football. 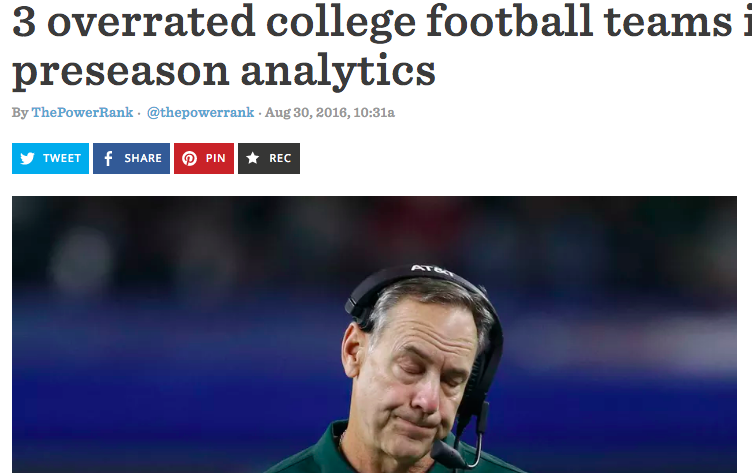 Michigan State might play above their true talent in this game, as Mark Dantonio hasn’t suddenly become a terrible football coach the last 8 weeks. 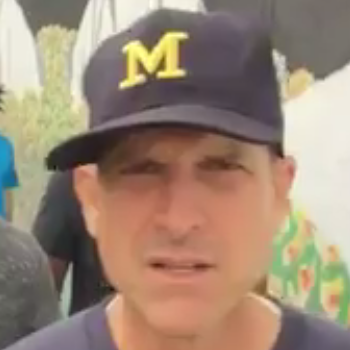 Throw in an ill timed turnover from Michigan, and it could be a close game on Saturday. Last week, I wrote about a few overrated teams by preseason analytics over at Football Study Hall of SB Nation. How did these teams do week 1? Houston pulled off the upset of Oklahoma, so I’ve gotten some flack for including them in the ranks of overrated. However, we have much football left to play this season. Michigan State struggled against Furman, as they beat their FCS opponent by 15 points at home. Iowa did what they were supposed to do and beat Miami of Ohio by 24. We’ll see how these predictions pan out by the end of the season. 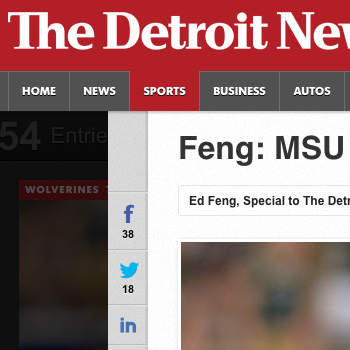 Last week, I wrote a preview of Michigan State at Michigan over at the Detroit News. Michigan State won on a stunning game on fumble recovery for a touchdown on the final play of the game. My numbers that favored Michigan win 9 points were off. However, I did think my analysis was strong. The Spartans must throw the ball early and often. With a poor rush attack, they need to attack Michigan’s defense with Cook’s arm to score points. Michigan will try to cram the ball down the throat of Michigan State’s defense. Defensive linemen Malik McDowell and Shilique Calhoun must play big to slow down the Michigan offense. Cook kept Michigan State in the game with 7.12 yards per attempt against a great Michigan defense. Michigan State’s defensive line helped hold Michigan to 2.4 yards per carry. Over at the Detroit News, I previewed the Oregon at Michigan State game on September 12th, 2015. Both defenses have issues in the secondary. 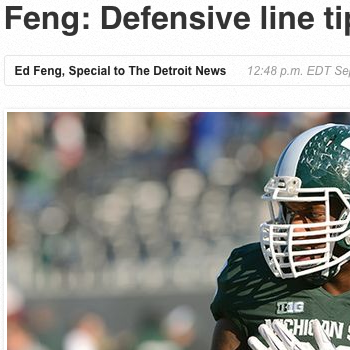 However, I thought Michigan State’s elite defensive line would win the game for the Spartans. It was enough to overrule my numbers which gave an ever so slight edge to Oregon on the road. The game couldn’t have gone better for me, as Michigan State won 31-28. If you give the defensive line credit for stopping Oregon on 4th and goal from the one yard line in the first half, I even got the details right. It’s not always going to work out this well. But combining numbers with watching games is powerful in making predictions. To read the Oregon at Michigan State preview, click here.